This is the first proper new Mega Man game since the retro-styled Mega Man 10, which came out in 2010. 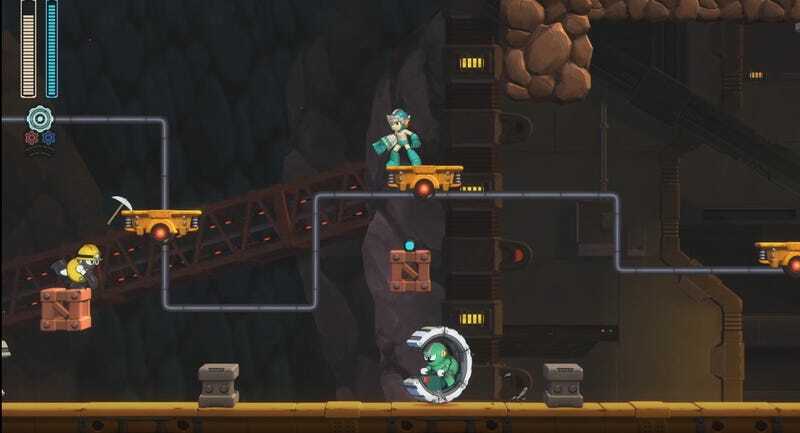 Rather than recreate the 8-bit style of the older Mega Mans (and the subsequent sequels Mega Man 9 and Mega Man 10), Capcom is going with 3D sprites on a 2D plane, creating an effect that seems offputting at first, but actually looks pretty good. Way better than Mighty No. 9, at least. Capcom has been teasing this for a few months now, although we didn’t know it at the time. The art for Mega Man 11 was actually hidden in the concept art gallery for Mega Man Legacy Collection 2, which came out this summer. Mega Man Legacy Collections 1 and 2 will also be coming to Switch in the near future, Capcom added, alongside the Mega Man X collection that was announced today.